As they say, "Accidents happen." Unfortunately, an awful lot of them seem to befall us at work. This doesn't mean that employees should call in sick and hide under their beds. On the contrary, over the last decade, incidents of workplace injury and illness have decreased. Similar results have been reported for other industrialized nations, such as Great Britain and Canada. Why is this happening? Analysts think it's the result of a variety of reasons, ranging from better workplace communications and training, to safer equipment and adherence to procedures. And yet the quest for a completely accident-free work place hasn't been fulfilled. Three out of every one hundred American workers in the last year fell victim to workplace related illness or injury. And the construction injury remains among the leaders in this field. Because of the dangerous nature of this type of work, it's not surprising that many mishaps are construction related. In 2012 for example, the Bureau of Labor Statistics reported that twenty percent of all victims of labor fatalities were employed in the construction industry. This means that making safer construction sites is a priority. Fortunately, not all construction site accidents are fatal. Unfortunately, the construction industry has a preponderance of non-fatal ones as well. Construction workers fall well within the unenviable "Top Ten" of professions that are frequent victims of non-fatal injury or illness. The most common accidents that caused both fatal and non-fatal injuries were falls, falling objects, electrocution, and getting caught between two objects. Illness and indirect injury were caused by exposure to carcinogenic, chemicals, and other substances. As can be imagined, workplace compensation claims for construction site mishaps are almost an industry unto themselves. But construction worksites don't have to be accident or injury hotspots. Many calamities can be avoided with conscious effort by both employers and employees, and it all starts with training. Take our construction safety tips, employers should make every effort to make sure that employees are aware of potential hazards at sites before work even commences. Before any worker enters them, they should be made aware of areas where potential falls, exposure to falling materials, slips, or trips could occur. All workers entering a construction site should be aware of the presence and proximity of both buried and exposed electrical and water lines. They should also be aware of any confined areas and of the presence of hazardous materials, either known or possibly buried. Once warned of potential site hazards, training should begin in how to avoid them. Such training should be conducted off site to avoid distractions. In some cases depending on the state, such training is mandatory, and includes testing. Such training should not only help employees to detect and avoid site hazards, but to know how to render assistance to employees who are victims of workplace mishaps. This includes either providing on-job CPR, first aid, and AED training, or compensating employees who receive such certification on their own time. Multiple, fully stocked first aid kits and emergency contact numbers (in case 911 is not an option) should be placed around the site. Employers should conduct reviews and explanations of all workplace protocols before site work begins. 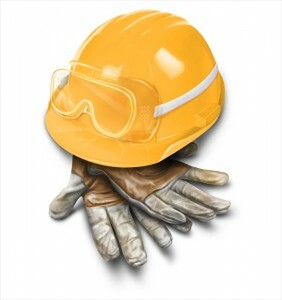 This includes all gear to be used, (such as hard hats, tackle, vests, etc.) proper equipment operations, hand signals, radio communications, lock-out tag-out procedures, visitor policies, and end of workday and end of project site cleanup. Employees in turn should be empowered to suggest additional pertinent training to employers. Employers should also offer employees the chance to report safety deficits or offer suggestions on health and safety on construction sites without fear of ramifications. After a recession-era slump, the industry is rebounding and will continue to do so as we approach the mid twenty first century. Employers and supervisors can ensure a safer journey to that point by making employees partners in getting there. Check out our other blog posts to discover more construction site safety tips!